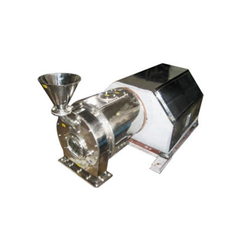 Being a patron focused organization, we are engaged in manufacturing and supplying a compendious array of Pusher Centrifuge Machines. The demand of offered machines are rising at rapid pace as we manufacture these utilizing optimum quality raw material, sourced from the vendors of high repute and base on latest technology. Moreover, we follow international quality standards and norms while manufacturing the array. Looking for Pusher Centrifuge Machines ?